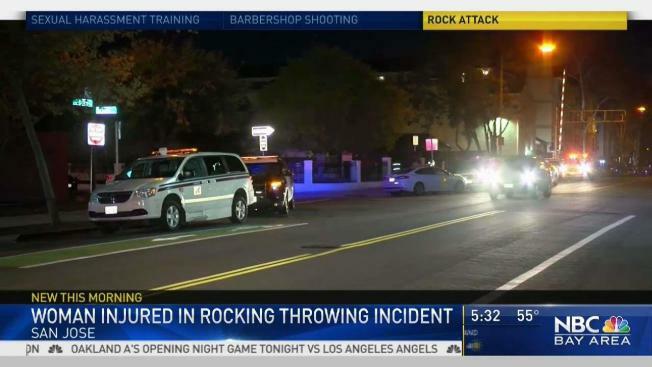 A woman was injured when a man allegedly threw a rock at her in Downtown San Jose on Wednesday night. Two witnesses told police the suspect, identified as 33-year-old One Brown, threw a rock at the woman's car and when she exited the car to check for damage, the man threw a rock that striked her in the head. The incident occurred in the area of 2nd and Julian Street around 10 p.m.
Brown attempted to flee but the witnesses confronted him and waited until San Jose Police arrived. Police then and took the suspect into custody. The woman was transported to a nearby trauma center in stable condition, according to police. Brown was later booked into Santa Clara County Jail for Assault with a Deadly Weapon, police said.